Moto2 was a bit of a snoozefest again sadly. 3 and GP were both fab though, edge of the seat stuff in both, chuffed for Toba too. Lots of impressive performances in GP, Cal, Rins, Rossi and Mir to name a few. 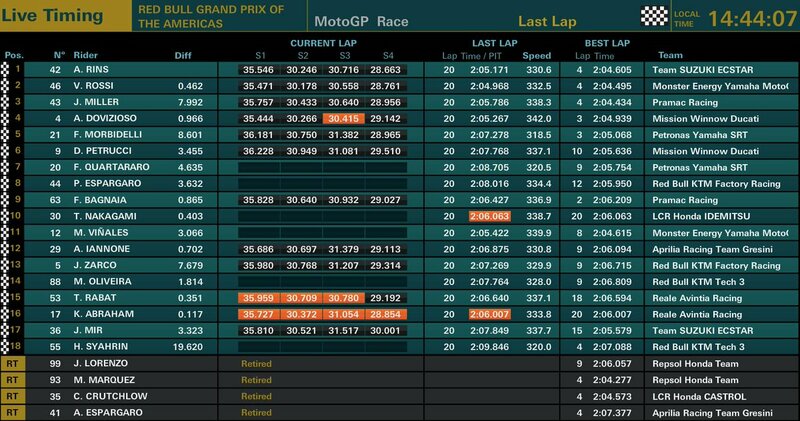 Also despite being I think the only crasher during the race, Smith did a pretty decent job given the bike and him being test rider, up to 18th at one point, maybe even higher. Ianone crashed on the cooling down lap. Danilo Petrucci had run the part - which is believed to assist with tyre cooling - in practice before both he and factory Ducati team-mate Dovizioso adopted it for the race. The pair, and Pramac rider Jack Miller, who retired, were all protested. 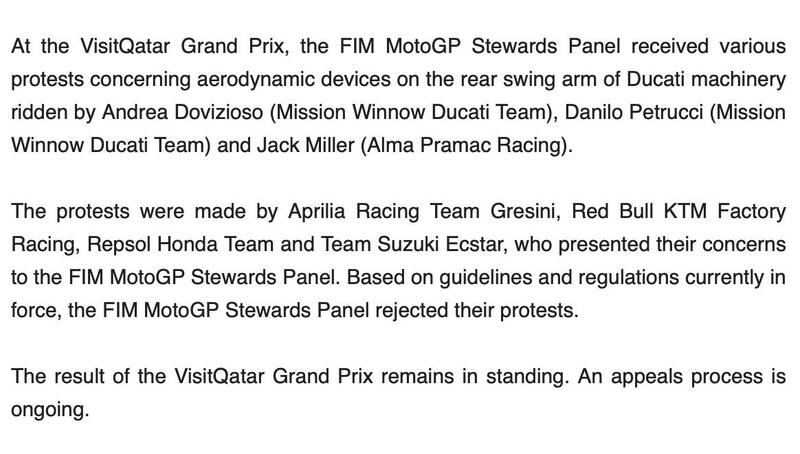 A MotoGP statement said that "based on guidelines and regulations currently in force, the FIM MotoGP stewards panel rejected [the] protests". That meant both Dovizioso's victory and Petrucci's sixth place finish became official, but the row is ongoing. A MotoGP statement released some time after the stewards reached their decision said the matter has now been referred to the Court of Appeals at motorcycle racing governing body the FIM. I looked and could not see the part in question. I found the torque bar they tested in Jerez, but nothing about any kind of aero device. Lorenzo has got a broken rib from his turn 6 highside. How close do we want it. Long gone the days of lapped riders. Makes sense why McPhee appeared to punt off the other rider. Silly old git should retire. I'd take that as a win, technically. I'm sure a DNA test will soon reveal 93 is actually an android. 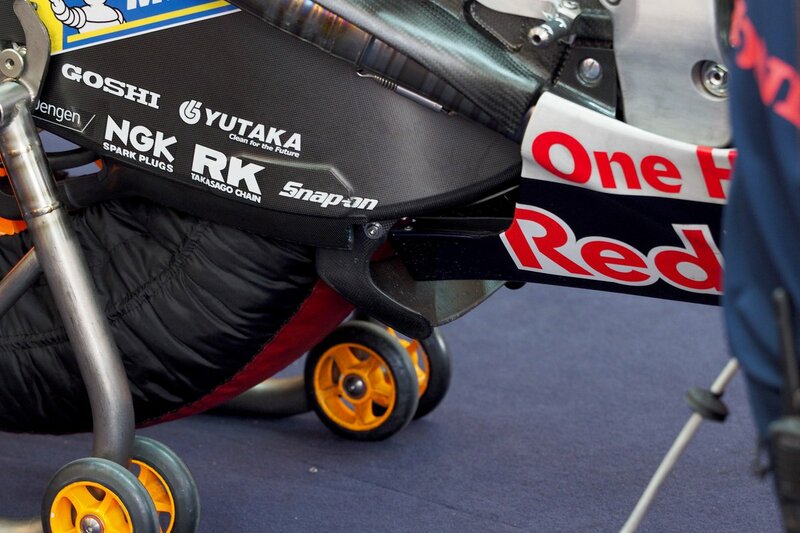 HRC also using the swingarm attachment. Track is in poor condition. FP2 as much fun as some recent races! Great to see Pasini back on a bike too, his lack of seat for the year might be self inflicted, but still very undeserved. 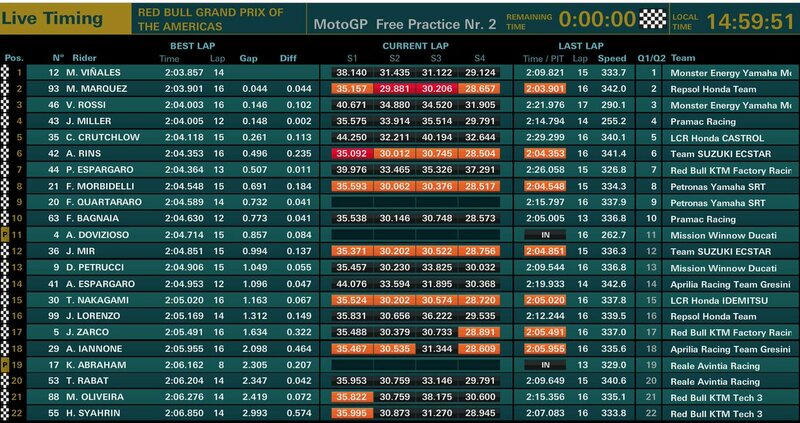 Riding at the pointy end of the grid in the first practice sessions shows he still has the speed for a full time seat. The 2 oldest riders on the front row! Guy Martin should be on every race!! How many times did MM fall off?